Something very odd has been happening in the crazy world of marketing. Over the last few years, big brands have been focusing heavily on their Customer Relationship programmes. 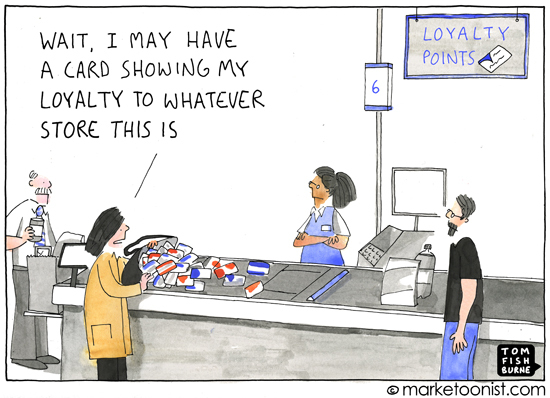 Our wallet-full of loyalty cards means we don’t actually feel loyal to any of them, so they’re desperate trying to build a more ‘meaningful relationship’ with us – wading through all that ‘big data’ and begging us for feedback after every online purchase or restaurant visit. (Suzanne Moore recently wrote a great piece on the basic preposterousness of this). At the same time, dissatisfaction with customer service has never been higher. So why don’t we feel more loved than ever before? Well, aside from perhaps feeling a tad stalked, might it have something to do with the fact that, not so long ago, many of them downsized and outsourced their Customer Services departments, shifting any ‘real’ human relationship to faceless call centres in Mumbai and the Midlands? We’ve all experienced terrible service. 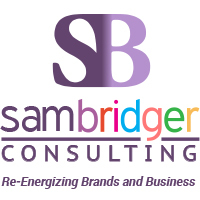 The companies that wear us down with their incompetence and over-familiarity (“hi, Sam, how are you today? !” I’m sorry, have we met? ), designed to mask their lack of personal involvement and ownership. But wait!, you cry. I thought you wanted a relationship with me? I thought you CARED?! The reality is, despite all this fake friendliness and their obsession with digital engagement, I’d argue that most brands don’t really care about their customers. Good customer service is unarguably core to loyalty. Ask anyone in the car business – they will tell you ‘sales sell the first one, aftersales sell the next’. Quite simply, if you look after your customers they’ll come back. And recommend you. This ‘relationship disconnect’ has been a long time in the making. Back in the day, people personally knew their service providers; their bank manager, their local shopkeepers, even the ‘Man from the Pru’ – who came round once a week to collect your insurance premiums and took the time for a cup of tea and a chat. Over time, the big corporations, with their armies of anonymous staff, gradually replaced these people. Now they’re desperate to make a connection again, but only remotely. Sadly, Twitter and email is no match for a warm, human conversation – either in store or over the phone. Real CRM isn’t about emailing out the same offers every month and posting amusing tweets about the football or the weather. It has to be part of a proper, trusted relationship that keeps people genuinely engaged. It’s time to go back to basics. The good news is, it’s not hard to get right. Recently, I switched to Ovo Energy, after they tweeted me directly (having seen my complaints about Npower) and am very impressed with their customer service. Whilst using the customer section on their brilliant, user-friendly website I got a message suggesting I should actually decrease my payments. Their marketing and customer service is joined-up and faultless. It’s very telling that their new ad parodies the breakdown of a (real) relationship. Maybe things are changing. Even evil Ryanair has realised it’s time to start treating their customers with a little more respect. Poor Customer Service makes a mockery of marketing, and of CRM in particular. So how is this happening? Why are some brands offering such a disjointed customer experience? Often, it’s when Customer Services sit in a separate silo to Marketing (owned instead by Sales or Ops). In the worst cases, Marketing spends millions on acquisition and retention, whilst their Customer Services colleagues cut budgets, outsource call centres and employ practices that encourage churn. The primary role of the Marketing Director must be to represent the customer within the organisation, and an investment in proper customer service has to be justified to the Board in their terms. (For example, negative impact on cost of acquisition, reduction in churn, erosion of retention effort, the link to the business development strategy). Marketing Directors who aren’t doing that, or are absolving responsibility to another department, need to think again. If you could do with some help joining up your customer strategy, give me a call. I promise to pick the phone up straight away and not play Greensleeves at you for 10 minutes. In the meantime, I’ve written a handy ‘How Not To Do Customer Service’ checklist. (It’s the next post, or you can click here to read it).